People are using their mobile devices for more and more things every day and this means that everything that you as a business do, has to cater to this. From making your marketing strategy mobile friendly, to ensuring that your website is responsive – you need to make sure that you are ahead of the game. Website responsiveness is potentially a huge stumbling block for many businesses. How do you know if your site is responsive or not? Where do you even start with a redesign? Why should you even bother? Firstly, you should definitely bother to enhance your website for mobile browsers. Google presented a case study a little while ago where a florist optimised their site for mobile users. After they had done this they had a noticeably higher conversion rate and there was a 25% increase in the length of time that people stayed on the site. So what exactly is a responsive website? It’s a website that responds to the size of screen and type of device that it is being opened on. Columns will shift so that it is easier to use on a mobile phone, images will resize themselves to work within the different parameters and your viewer will probably never have to zoom in, or scroll anywhere to navigate the site. The best thing about a mobile responsive site is that once you have developed it you don’t actually have to worry anymore. We need to differentiate between mobile sites (.mobi; m. etc) and mobile responsive sites. With a mobile site you create a new URL that copies your original website and then the server turns it into a site optimised for mobile viewing. This is very different to a mobile responsive site where the site itself is built to cater for mobile phones and varying screen sizes – it will adjust on the fly. A .mobi site is a slightly cheaper option than a full mobile responsive redesign however you stand a chance to lose a significant amount of functionality with a .mobi site as well as having issues with organic search traffic. So now that you know why you need to have a website that is mobile responsive, how are you able to check whether yours is or not? There are several resources that are great for testing a websites’ mobile strength. AmIResponsive displays your website on 4 devices of varying screen size. As you can see, the Contour Online website responds to each screen size and is easy to use on each option. As you can see, the Gilmore Girls website does not respond to each screen size and on the mobile phone you would need to scroll far right in order to see all of the content. 1. Another great resource for testing responsiveness is the Google Developers platform for page insights. This tool tells you how quickly your site is loading on mobile and desktop platforms and also gives you hints about what you can do to improve your score. 2. The simplest way to test the responsiveness of your website is to access it from different sized devices or make the size of your browser window on your computer smaller. It might sound silly but it really is the easiest way! Determining the responsiveness of your website is just the first step in having a mobile responsive website. If you would like to know more about how to improve your website, we at Contour Online offer a free website audit service where we can go through the whole site and give you tips on how to improve it. Get in touch with us today about taking your business to the next level. 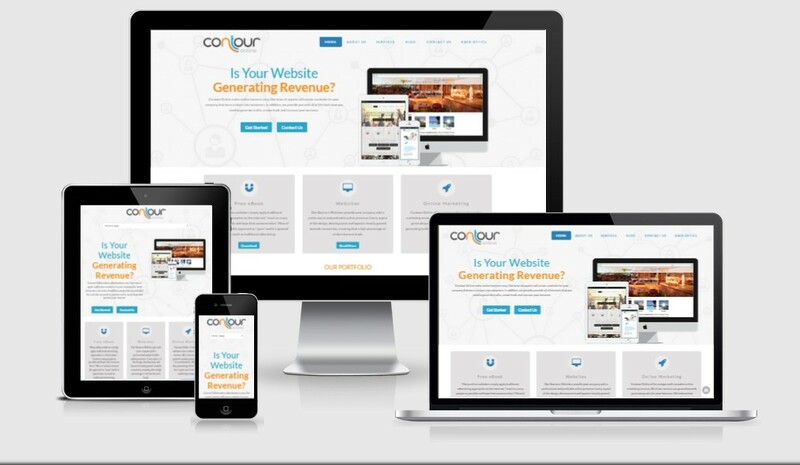 Contour Online is a full service marketing agency based in Johannesburg, South Africa. Our primary business entails servicing companies who wish to utilize the power of marketing and advertising to increase their sales.